A new film about Robin Williams begins with his appearance on Inside the Actors Studio with James Lipton. Lipton says: “How do you explain the mental reflexes that you deploy with such awesome speed? Are you thinking faster than the rest of us? What the hell is going on?” Williams first makes a goggle-eyed face, but then he falls over sideways, like an embarrassed kid, curling up and cackling. And then, of course, he does precisely the thing Lipton is asking about: a flurry of movements, voices, bits, fragments of thoughts flying by — fragments riffing on his own thinking. Even when he was cringing at being called out on it, he couldn’t not do it. A pure biography of Robin Williams might well not tell us anything we didn’t already know: He was an explosively brilliant stand-up comedian, then a sitcom actor, then a movie actor, then an Oscar winner. He was always a man of many appearances here and there, and then, startlingly, he died from suicide in 2014. Williams has an almost Forrest-Gump-ish relationship with entertainment in both bright and dark ways: He was dear friends with Christopher Reeve before Reeve was in Superman. He was with John Belushi on the night Belushi died. He was on Johnny Carson’s last real show — the one with Bette Midler, the second-to-last one, before the farewell. He is a thread woven through the comedy and film culture of the ’80s through the aughts, and yet he always seemed a bit inaccessible. The HBO documentary, called Come Inside My Mind, directed by Marina Zenovich, wisely takes a less expansive and more specific approach than a chapter-by-chapter biography. The film is, just as the title suggests, an effort to document not just what Williams’ talents were and what his challenges were, but the particular operation of his mind, linking some of his talents with some of his struggles without romanticizing his addiction or any of his other troubles. Parts of it are funny, parts of it are sad and funny (like watching him crack up Philip Seymour Hoffman on the set of Patch Adams), and parts of it are just sad. One telling interview features David Letterman, in his old and beardy current incarnation, explaining that when he and Williams were in the same stand-up scene as very young guys, everyone else knew that whatever they were doing — and it was completely different from what Williams was doing. His speed, his energy, his fearlessness, his relentlessness — it was not even what most comics wanted to do, but even if they did, they just weren’t built for it. Perhaps that’s what the film suggests about Williams’ life: In good and bad ways, he lived the life he was built for. Maybe the only one he could. The film posits that in large part, his mind just went; that’s what you were seeing when he was on stage. It’s not that he didn’t craft things, but he crafted things to let that energy out, and to direct it somewhere. The always-on nature of his persona wasn’t a choice as much as a careful optimization of where his mind would take him anyway. Writer-director Mark Romanek worked with Williams in 2002’s One Hour Photo, one of the actor’s first ventures into true and deep creepiness, but not his last. Romanek points out that Williams goofed around between takes even while playing a disturbed, dangerous stalker, in part because he had to “get it out of his system.” In fact, Romanek says, the off-camera goofing around would create a sort of coiled spring of energy that could then give a “patina of weirdness” to the dramatic scenes. It’s clear when people — Williams’ first wife, his son, his close friends like Billy Crystal — talk about Williams, they do it knowing that there was deep pain in him, which came from feelings of worthlessness and an insatiable need to please people. His descriptions of hearing both his father and his acting teacher, John Houseman, laugh make it clear just how powerful that reaction was for him and how he craved it. The pain and the brilliance, just like the goofing around and the dramatic work in One Hour Photo, circled each other like a little binary star. It’s very easy for that to devolve in creative portraits into “depression is what makes creative people brilliant” or “poets need their addictions,” but that’s not what anyone here is saying. They’re just saying it’s who he was. For him, these things seemed of a piece. That’s one of the things that made parts of his life so difficult. Furthermore — and critically — examining his thinking does not necessarily mean endeavoring to explain his suicide. That might seem counter-intuitive, as if a brilliant person’s suicide is the thing any decent deep exploration of his being has to be able to account for. But as complicated as all such cases are to explain, his might be even more so. The documentary discusses Williams’ diagnosis with Parkinson’s disease late in his life, but also that his autopsy revealed signs of Lewy body dementia (LBD), which alters thinking and can even lead to hallucinations. It would be folly to try to draw a direct line of rational reasoning from the pains of a whole life to a suicide, sussing out lines of causation, when other medical issues had intervened. “His brain was giving him misinformation,” as his friend Bobcat Goldthwait says in the film. We have an incomplete understanding of the mind; at some point in the future, we’ll likely develop a much clearer sense of just how limited that understanding is. Today, if you were to compare it to a map of the United States, we know where the Rockies are, and the Mississippi, and we know the shape of the coast and how Florida protrudes, and where it’s dotted with lakes. We know a lot. But there are unmapped mountains people abruptly discover only when they find they’re walking steeply uphill. And there are places that so few people have ever visited that we just strain to understand by reading the notes they’ve left us. There was, indeed, something about the way Robin Williams’ mind worked that the people who knew him and worked with him and loved him had never quite seen. And the film does a good job of convincing you they were right as to its uniqueness, and that he was as vexed by it as they were. 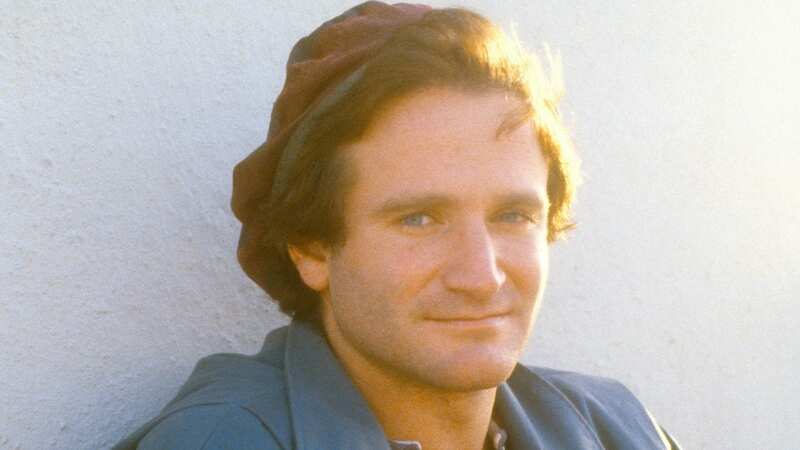 If you’ve only heard Robin Williams “on” in that way people mean when they say “always on,” you might be surprised, in the Maron conversation or in the documentary, by the gentleness of his speaking voice. He has an almost meditative cadence at times. He was fascinated by the work of Oliver Sacks and the operation of the mind. He thought a lot about humanity, his and other people’s. “He felt everything,” says one woman who worked with him.